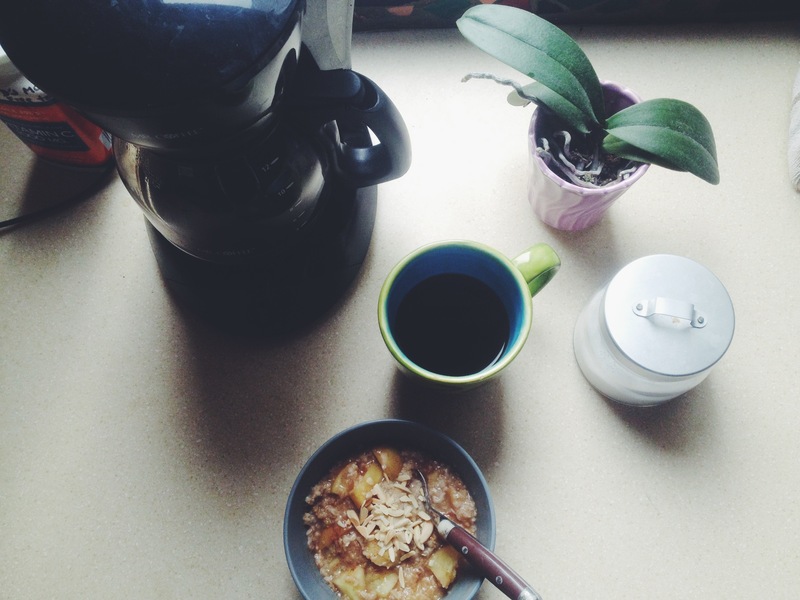 It’s so funny that Abby just did a breakfast post as well! We are literally always on the same wavelength. 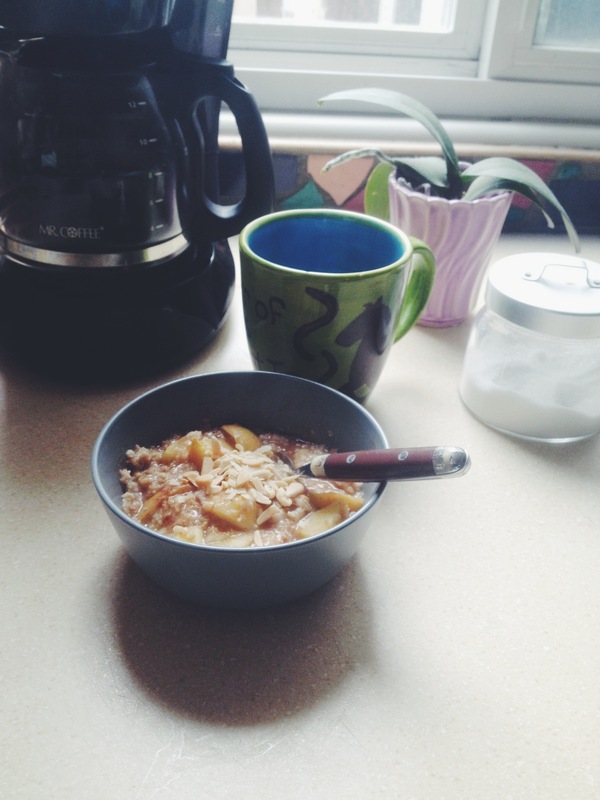 This morning I made my classic cinnamon apple oatmeal! 1. Chop apples and place in a bowl. 2. Cover with cinnamon and a dash of nutmeg. 3. Add oats and water. 4. Cover with plastic wrap leaving a little room for air to get in. 5. Microwave for 1 minute. Stir. 5. Microwave for another minute and you are ready to go! You can always spice it up by adding some almonds or milk at the end!